Relax and enjoy every benefit of individualized, private jet management from a turnkey aircraft management program. We merge safety with expertise, to produce an unparalleled experience. Alerion Aviation is a jet charter and private jet management company. We offer direct personal service to ensure your aircraft is operational, generating revenue, and ready to fly when you are. Our team provides a variety of management services including crew recruitment, flight coordination, accounting, and more. You will have access to our state of the art owner's portal, so you'll always know how your asset is performing. Call or fill out the form on this webpage to discuss aircraft management and private jet management services with our expert team. As an aircraft management company, Alerion Aviation understands the value of your assets. Our team has decades of experience and the organizational structure to ensure your aircraft is thriving. We take the stress out of owning an aircraft by handling every detail of the management, maintenance, and revenue generating processes. 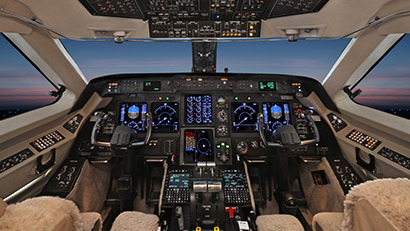 The Alerion aircraft maintenance and management program is world-class. Whether you choose to maintain exclusive use of your aircraft or decide to generate revenue, Alerion Aviation develops a personalized plan that works for you. With Alerion Aviation, luxuriate in knowing every detail of your aircraft is managed and maintained to maximize the return on your investment. Experience the additional benefits of private jet management with Alerion Aviation’s private aircraft management systems. Enjoy stress-free aircraft ownership while Alerion Aviation handles every detail of your aircraft’s management. We remove the ambivalence out of private aircraft management by providing comprehensive maintenance scheduling, detailed financial analyses, and life cycle budgeting. Alerion Aviation ensures that your asset remains a revenue generating tool in peak operating condition, all while retaining its maximum value without impacting your personal access. From take-off to tarmac, Alerion has you and your aircraft covered. Alerion’s maintenance and jet management program means you never have to worry about the safety of your aircraft. Alerion is a nationally recognized leader in operational safety and one of only a handful of elite companies who meet the highest industry audit standards. To ensure the safety of our members, all Alerion pilots are Wyvern Wingman certified operators. Our aircraft have received the ARG/US Platinum rating, having completed a stringent on-site audit under the EASA standards. With Alerion Aviation, never compromise your safety. Learn more about our maintenance and safety practices. The Alerion Aviation private aircraft management program provides a litany of benefits to owners and their assets. Members of our jet management program have access to a state of the art owner's portal. The Alerion owner portal will provide details about your aircraft, maintenance, crew scheduling, along with financial information such as expenses, receipts, and other cost-reporting data. Alerion Aviation private aircraft management company has physical operations in the top private jet markets. Your aircraft will be cared for with unremitting attention to detail. Utilize our dedicated facilities, or ask us about a facility of your choice. Alerion Aviation has dedicated aircraft management facilities at Farmingdale Republic Airport (FRG) in Long Island, New York. We know the processes and systems to enhance your jet's service. Do you need your private aircraft in or near the white, sandy beaches of Florida? 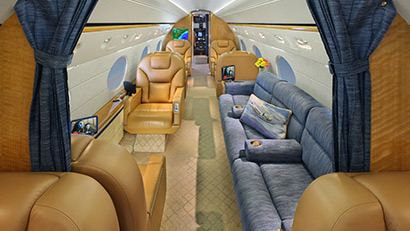 Alerion Aviation maintains world-class jets through our personal West Palm Beach, Florida facility. 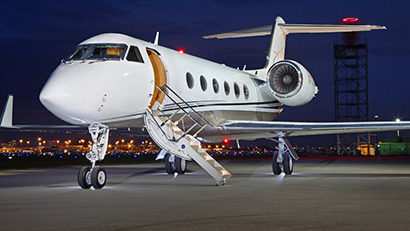 Alerion operates jet aircraft out of Teterboro airport. Enjoy our long term vendor relationships and significant cost savings.